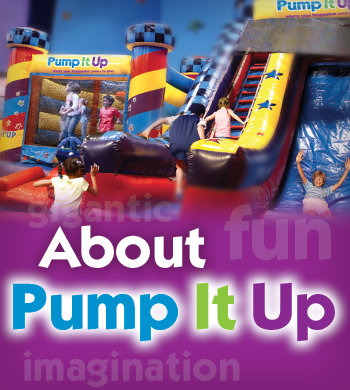 Pump It Up of Union City was established in 2003. This was one of the first 5 locations of Pump It Up. The facility is under new management since Jan, 2012. We have installed state of the art glow lights, new inflatable games, Imagination Playground, Photo-touch, Bubbles, Hurricane Simulator and many more enhancements (customer service, cleanliness of the facility etc.). We have a passion to make birthday party a life-long memory for the kids and their parents.